Adequate DCAA compliant timekeeping practices are critical to securing a contract award. Often deficient DCAA compliance & timekeeping is the reason contractors fail the audits. Below are the key requirements and best practices for DCAA compliance. Web-based timekeeping systems are acceptable provided the key requirements are followed. Question 1. How does QuickBooks sync data with Hour Timesheet? Answer. Hour Timesheet utilizes the Intuit Web Connector to sync company data with QuickBooks Desktop. While logged in to Hour Timesheet as an Admin you will click the Request for Import button. This will import your company data (selected by you) into your Hour Timesheet account. Question 2. What data does QuickBooks bring into Hour Timesheet? Employees: The sync tool will import all “active” QuickBooks employees and vendors (optional) into your Hour Timesheet account. Only vendors that have a First and Last Name field value in QuickBooks will be imported. Customers/Jobs The sync tool will import all “active” QuickBooks Customer and associated Jobs into your Hour Timesheet account. Service Items The sync tool will import all “active” Service Items from QuickBooks into your Hour Timesheet account. Classes The sync tool will import all “active” Classes from QuickBooks into your Hour Timesheet account. Payroll Items The sync tool will import all “active” Payroll Items from QuickBooks into your Hour Timesheet account. Question 3. How do I add a new data in Hour Timesheet (employees, customers, jobs, etc)? Answer. New data will need to be entered into your QuickBooks company file first. Once the new data is entered, you can use the sync tool to import your additional information in Hour Timesheet. Question 4. How will my employees receive their Hour Timesheet login credentials? Answer. Hour Timesheet will send an email invitation to each employee with the link and login ID to the Hour Timesheet account included in the body of the email. Once the employee accesses the link, the employee will be prompted to create an initial password to login to Hour Timesheet. Question 5. Can my employees track time against customers and jobs, service items, classes and payroll items? Answer. Yes, your employees will be asked to select from a list of authorized charges. Employee authorized charges (EOC) are defined by the admin at the employee level. This feature enables the employees to only see EOC’s that are assigned to each user. Question 6. How do I delete information in my Hour Timesheet account? Answer. Once you mark the data (employee, customer, job, etc.) as inactive in QuickBooks, the data will be updated in your Hour Timesheet account upon performing the data sync. Question 7. How does Hour Timesheet identify billable vs non-billable items on the timesheet? Answer. By default, any EAC that includes a service item will be marked as billable time in QuickBooks. The user also can mark individual line items as billable or non-billable on the timesheet. Question 8. Can employees add comments to a timesheets? Answer. Yes, there is the ability to input general comments and daily comments in Hour Timesheet. Question 9. I exported my employee's time into my company QuickBooks file, but now I need to make an adjustment to a timesheet. How do I do this? Answer. Hour Timesheet does not allow processed timesheet data to be edited. Hour Timesheet will display a link on the timesheet that will allow the user to create a “corrected” copy of the timesheet. The detailed audit trail will show the log of all changes made to the revised timesheet. Answer Yes. Hour Timesheet will allow for multiple supervisors to approve a timesheet. Question 11. We have a daily requirement for our employees to enter timesheet data. Does your software include daily reminders? Answer Hour Timesheet includes the option to turn on daily notifications to serve as reminders for those employees who forget to enter time daily. Question 12. I track my employee leave balance info manually in an Excel spreadsheet because QuickBooks doesn’t include all of the options I need to track my employee leave. Can Hour Timesheet manage leave for my employees? Answer - Hour Timesheet has a full-function leave management feature that will allow accrued and earned types of leave tracking. Adequate DCAA compliant timekeeping practices are critical to securing a contract award. Often deficient DCAA compliance & timekeeping is the reason contractors fail the audits. Below are the key requirements and best practices for DCAA compliance. Web-based timekeeping systems are acceptable provided the key requirements are followed. 01. Company timekeeping procedures must be documented in a policy or procedure handbook provided to all employees. All key elements of an adequate time keeping system must be addressed. 02. Every employee must record all of his/her time daily. Recording hours worked in advance or days after the fact such as at the end of the week is not acceptable. 03. Time must be charged by day and by project or job code as well as by indirect accounts (overhead, G&A, B&P, etc). 04. All employees must record 100% of time worked on projects to the proper job codes. 05. Employees must record all indirect time not identifiable to a given project to proper indirect cost accounts (overhead, G&A, B&P, etc). 06. Employees must record all pto, vacation, sick, holiday and other leave time to the proper accounts. 07. All job codes that appear in the timekeeping system should be initiated by accounting or the system administrator. Project codes must be provided to employees authorized to work on a given project. 08. All timesheet entries must be the employee’s own. Time must be recorded based on work completed, irrespective of whether the time is billable or non-billable. 09. Under no circumstance may an employee work on one project and record time to a different project. 10. Under no circumstance may an employee work on indirect tasks and record time as direct costs to a project or vice versa. 11. Correction timesheet entries should be made by the employee. Correction timesheets are approved by the employee’s supervisor. Under unusual circumstances where the employee cannot make the changes to timesheets then accounting or the administrator may make such changes with the employee’s consent. 12. All employee timesheet data must be approved by the employee’s supervisor. 13. Employees should be provided documented DCAA compliance & timekeeping training whether by formal or informal means. 14. Timesheets must be maintained for a period of at least 2 years. 15. Monitoring of employee timekeeping compliance should be conducted by audit or floor checks randomly throughout the year. Insight into how your employees spend time is critical. That's why employee timekeeping software tools make so much sense. Knowing how much time your employees spend on overhead tasks, project, training, and unpaid leave is invaluable data for your business's future. Internal policies & approval workflows are the keys to a successful employee timekeeping software implementation. Software tools are a dime-a-dozen, but it's how you use the software that defines your success. It's important to document your timekeeping policies and required approval workflows before you invest in a time & attendance tool. Don't be afraid of internet-based employee timekeeping software tools. A detailed timesheet audit trail will flag when a user inputs timesheet data into your system from anywhere but the office. The activity log shows the IP address as well as each entry into the user's timesheet with a non-editable time and date stamp. Yes, you can keep your employees timesheet data in Excel but is that really efficient? Don't be afraid to use the tools available to your organization to make you more productive. Rely on the experts...not Excel. BOTTOM LINE... it's just smart business. Features such as daily timesheet reminders, employee leave management and time card approval processes make Hour Timesheet the perfect choice for your organizations's timekeeping software needs. Managing grant dollars is one of the weakest links in the grant process chain. Directors tend to have detailed and documented process of researching and developing grant proposals. But frequently, that is where the process stops. Unfortunately, the inability of nonprofits to manage grant funds is the single most important reason why a funder may not fund them in the second or third year. Most government grants require significant documentation of all expenditures related to grants. Grant giving organizations require recipients to submit detailed supporting documents before grant payments are made. A system that has the capacity to automatically generate grant reimbursement based on grant activity not only saves time but improves accuracy. Grants come with indirect costs. Understand whether operating funds for administrative burdens will be covered or if you need to dig up additional funding. Ask your team if your organization is prepared to reallocate its administrative budget to cover the cost and if so for how long. Cost allocation will allow your organization to share overhead expenses across different programs. Essential to successful grant management is an understanding of and adherence to the regulations covering grant management. Regulatory compliance starts with federal guides for Cost Principles and Auditing from the Office of Budget and Management which subsequently impacts state and other local government grants and sets models of best practices for foundation and other private grantors. Being able to quickly see what is coming up or quickly see a high-level view is critical to keeping the process running smoothly. SaaS based solutions can be utilized to track important deadlines and send email reminders of deadlines when they are approaching. This can be a great time-saver for the person who is organizing all the elements of a grant proposal and responsible for the final submission. Implementing systems, policies and practices are essential items to consider and implement for success with any type of grant management. $3/user. NO setup Fees. NO support fees. NO contract. Earned Leave - Leave hours are earned based on the number of hours worked on the employee timesheet. Accrued Leave - Leave hours are accrued based on the employee's hire date. Accrual options are weekly, bi-weekly, semi-monthly and monthly. Provide leave balance detail on employee timesheet. System-managed carry-over values from year to year. Balance is reduced after timesheet is submitted at the end of each timesheet period. User receives error message upon entering time that exceeds current balance. User may be allowed to “go into the negative” if feature is configured. System will stop accruing leave once limit “ceiling” is reached. System will reset balance to “carry-over” value each year. Balance will reflect manual adjustments (if any). For more information on employee leave management, visit our leave management website page or visit us in the QuickBooks marketplace listing. Budgets change, mistakes are made, people forget.. that's why a documented correction process is imperative. With the internet, all things are possible. Anywhere. Anytime. A detailed audit trail captures it all. The time, the place as well as the details. Any software can claim to be DCAA compliant but we don't just say it. We guarantee it. Our experts of 20+ years will make sure! Having been in the industry for over 25 years, there are a number of key topics that continue to come up when talking with a customer about DCAA compliant time tracking software. One common theme I hear time and time again is centered around managing correction timesheets and enabling someone other than an employee to update a timesheet. There are many sources on the web and an unlimited number of resources that are waiting and willing to charge you for FAR training. Go ahead, do a little "google research" or just ask one of our many referral partners. The practice of accessing your company QuickBooks data file using a 3rd party service has finally been accepted as an alternative to the costly expense of building and maintaining IT infrastructure. “Hosting” QuickBooks desktop means that a hosting service installs and manages the QuickBooks software and the company data files on their own cloud-based servers. With a cloud/hosted solution, you gain access to your company file from any PC, Mac, iPad, or mobile device 24/7 by simultaneous users. As your business grows, more users will likely need access to the company QuickBooks data. Businesses with multiple locations or a mobile workforce find that centralized access to data allows users to function as though they were all in the same office. Being able to run the QuickBooks software and access company file via the Internet allows users to work in a single company file no matter where they may be working from. By choosing the hosted/cloud option, you don’t incur any upfront hardware or software costs (other than the cost of QuickBooks). Instead, you pay the hosting company a monthly fee per user to take care of things for you. Most providers will manage the data, software updates, upgrades, and equipment, as well as provide first level technical support their clients. Users experience more efficient and effective collaboration with simultaneous access available to multiple users. Accounting professionals can work on client files seamlessly sharing data with the client even as the client may be working in the system. Cloud/hosting service providers follow stringent security measures to ensure full safety for your QuickBooks data file. Most data centers provide 24/7 security and extreme care in disaster planning such as fire detection, backups, diesel generators and biometric security. 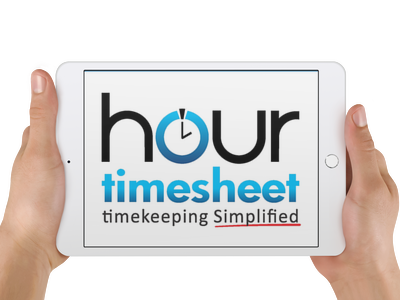 And of course...Hour Timesheet works great on your desktop or in the cloud. Come try our simple QuickBooks 1-click data sync today.